2009 was a big year for social media! YouTube starting seeing 1 billion hits per day. Facebook topped the 350 million users mark. Twitter became the most used word in the English language. And, the big search engines recognized the power of the micro-blog and incorporated this content into their search results. Watching all of these successes, the message has come through loud and clear that social media/networking/content is now a significant platform on which we, as business owners, must be present. Social platforms are here to stay, and in 2010, business owners must approach social tools with a plan that sets forth their intentions for embracing these tools and defines how they will accomplish these goals. Who are your target clients? Are they actually using the media platform that you are using? (For example, if they are all local, are you participating in local networks?) Are they engaged with you or do you need to shake things up a bit this year? What do you plan to accomplish by using each tool? Are you aiming to meet a specific group of people? Raise brand awareness in general? Drive sales? Highlight differentiating features of your product? What medium is ideal for you? Are you educating and using slideshows? Or, are you demonstrating and using video? Once you know the answers to these questions, map out the year ahead. 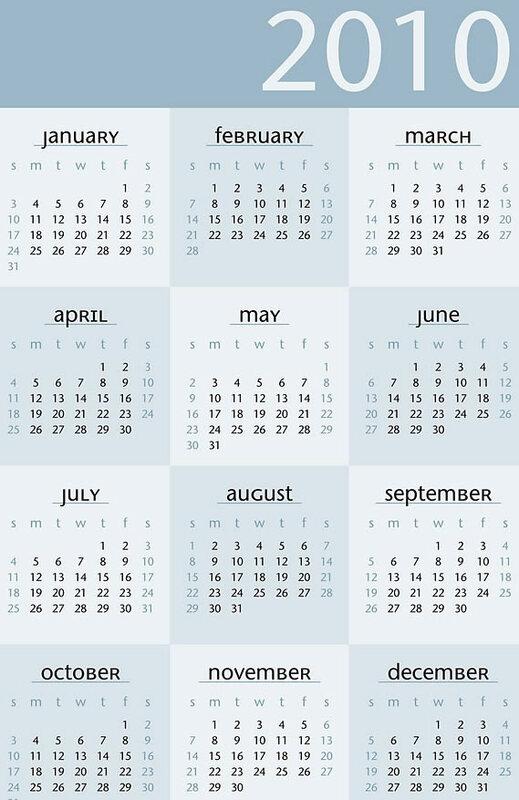 Get your calendar and figure out where your business will be and what it will be doing at each point during the year. Then, figure out how to maintain an appropriate balance of being social vs. being in sales. The general guideline for this is that one in 10 posts may be promotional. So, if you’ve got a big event coming up that you will want to publicize, and you plan to do this using your social tools, you’ll need to pick up your overall usage of social media as you are promoting that. This means that your time commitment, as it pertains to social tools, may fluctuate throughout the year. A word of caution though – be part of the social conversation at all times. Simply pick up the amount you contribute when you’ve got something to promote. Otherwise, you’ll fall victim to the “out of sight, out of mind” mentality and, when you have something substantial to contribute, fewer people will take note. In addition to planning for the spikes in your social media usage, you may also need to identify content that will be created throughout 2010. As you look at each month, brainstorm topics that your audience may find useful or interesting. Note these and a “due date” on your calendar. If you do this, you’ll be able to skip over that “I don’t have anything to say” feeling throughout the year: you’ll be prepared to create that blog post or video or webinar. When finished with your planning, you should end up with a time line or calendar that identifies what you’ll be doing in social media, alongside what you’ll be doing with your business, in each month. Stick with this plan and you should be able to meet your goals in 2010.